In this edition, a pair of actors who were union men and iconic characters The Wizard of Oz and Juliet of Romeo and Juliet fame. 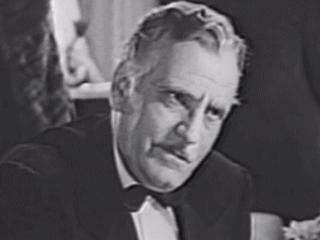 Ralph Morgan (1883–1956) was a film, stage and character actor. Born Raphael Kühner Wuppermann the eighth of eleven children born to an American mother of Mayflower descent, and a Venezuelan-born German-Spanish father in New York, New York, U.S.A. He so loved performing that, a few years after graduating Columbia University (where he appeared in its varsity shows), and amateur work with the New York Comedy Club, he left his law practice for the stage in 1908, taking the more "marquee-friendly" name "Ralph Morgan." But with theatrical success, his shocked, affluent parents (distributors of Dr. Siegert's Angostura Bitters) "forgave" his career choice, and two younger brothers followed him onto the stage: actor-playwright Carlos Wuppermann, who would meet a violent death in 1919 while on duty there with the Army of Occupation, and actor Frank Morgan (see below). He joined Actors' Equity in 1914, while in the hit comedy Under Cover (brother Carlos replaced him in the production in 1915) and was active, with brother Frank, in Equity's 1919 strike. In 1920, he was elected to Equity's council, and briefly served as its acting President in 1924. After 23 years on stage, a half-dozen silent films, and a few "talkies," he came to Hollywood in 1931 under contract to Fox Films beginning at $500 a week, and was still a Fox contract player when he became the founding president of Screen Actors Guild in 1933. He later served as president of the Guild between 1938 and 1940. He made his film debut in silent films in 1915 appearing in several production made on the East Coast. In the early talkie era he played such leading roles in such productions as Strange Interlude in 1932 and Rasputin and the Empress also in 1932. He later settled into secondary character parts. His quiet, dignified demeanor on screen was often employed for murder mysteries in which, more often than not, he would be exposed in the last reel as the killer. One of his memorable roles was in the 1942 serial Gang Busters, in which he played a brilliant surgeon turned master criminal. He later worked in television, frequently in religious dramas filmed for "Family Theater." He was the father of Claudia Morgan (1911–1974), an actress best known for creating the role of Vera Claythorne on Broadway in the original production of Ten Little Indians, and for her portrayal of Nora Charles on the radio series "The Thin Man." He passed away just shy of a month before his 73rd birthday in New York, New York, U.S.A.
Frank Morgan (1890–1949) was a film, stage and character actor. Born Francis Phillip Wuppermann the eighth of eleven children born to an American mother of Mayflower descent, and a Venezuelan-born German-Spanish father in New York, New York, U.S.A. His family was wealthy due to the fact that they distributed Angostura bitters. He attended Cornell University where he joined the Phi Kappa Psi fraternity. He then followed his older brother Ralph Morgan (see above) into show business, first on the Broadway stage and then into motion pictures. His first film was The Suspect in 1916. His career expanded when talkies began, his most stereotypical role being that of a befuddled but good-hearted middle-aged man. He was nominated for the Academy Award for Best Actor in 1934's The Affairs of Cellini, where he played the cuckolded Duke of Florence and was nominated for the Academy Award for Supporting Actor in 1942's Tortilla Flat, where he incidentally played a Latino man. Other movies of note include The Great Ziegfeld, The Shop Around the Corner, The Stratton Story, The Human Comedy, The Mortal Storm, The White Cliffs of Dover and his last movie, Key to the City, released posthumously. He also recorded a number of children's records, including the popular Gossamer Wump, released in 1949 by Capitol Records. 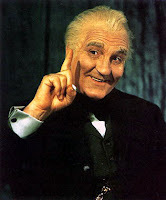 His most famous performance was in The Wizard of Oz (1939), in which he played several roles-- the carnival huckster "Professor Marvel," the gatekeeper of the Emerald City, the driver of the carriage drawn by "The Horse of a Different Color," the armed guard leading to the Wizard's hall, and the Wizard himself. Like Margaret Hamilton's Wicked Witch of the West, his characters only appear on screen for a few minutes in total, but they are memorable. He was so popular that MGM gave him a lifetime contract. He married Alma Müller in 1914; they had one son. Their marriage ended with his death in 1949. He died after suffering a heart attack in 1949 while filming Annie Get Your Gun. He was replaced in the film by Louis Calhern. He was the one major player from The Wizard of Oz who did not live to see the film become both a television fixture and an American institution. He was buried in Green-Wood Cemetery in Brooklyn, New York, U.S.A. He has a star on the Hollywood Walk of Fame at 1708 Vine Street in Los Angeles, California, U.S.A.
John Gavin (1931- ), born John Golenor Pablos al estilo latino in Los Angeles, California, U.S.A. to an Irish father and a Mexican mother, is a film actor and a former United States Ambassador to Mexico . He is probably best known for the part of Sam Loomis, Janet Leigh's boyfriend in Alfred Hitchcock's Psycho and as Julius Caesar in Stanley Kubrick's Spartacus. His father's family were early landowners in California when it was still under Spanish rule. His mother was a member of the powerful family in the Mexican state of Sonora, Mexico and took the surname "Gavin" when she married for the second time to a man named Gavin. After attending St. John's Military Academy of Los Angeles, he earned a Bachelor of Arts degree from Stanford University, where he did senior honors work in Latin American economic history and was a member of Stanford's Naval ROTC unit. During the Korean War he was commissioned in the U.S. Navy serving aboard the USS Princeton offshore Korea where he served as an air intelligence officer from 1952 to 1955. Due to his fluency in both Spanish and Portuguese he was assigned as Flag Lieutenant to Admiral Milton E. Miles. Following his naval service, he offered himself as a technical advisor to a film about the US Navy but was instead offered a screen test. Contracted to Universal Pictures where he was groomed as a virile, strapping, handsome leading man in the mold of Rock Hudson, some of his most famous roles include A Time To Love and A Time To Die (1959), Imitation of Life (1959) opposite actress Susan Kohner, Psycho (1960), Spartacus (1960), and the 1920s-era Julie Andrews musical Thoroughly Modern Millie (1967). Each of those films was among the most successful box-office attractions of their year of release. He also co-starred with such top leading ladies of the era as Doris Day, Sophia Loren, Susan Hayward and Sandra Dee. He was signed on for the role of James Bond in 1971's Diamonds Are Forever after George Lazenby left the role. However, he never played Bond due to Sean Connery's expensive return to the 007 franchise yet still had his contract honored in full. Later producer Harry Saltzman insisted on an Englishman to play the role. (He did play OSS 117, the French equivalent of 007, in the 1968 film Pas de Roses pour OSS 117/No Roses For OSS 117.) He served as president of the Screen Actors Guild (SAG) from 1971 to 1973. He then made a successful foray into live theater in the 1970s, showcasing his baritone voice. He toured the summer stock circuit as El Gallo in a production of The Fantasticks and later replaced Ken Howard (incidentally, as of this writing, the current SAG President) in the Broadway musical Seesaw (1973) opposite Michelle Lee. He also toured the country in Seesaw with Lucie Arnaz. He was appointed U.S. Ambassador to Mexico in June 1981 by President Ronald Reagan and served until June 12, 1986. Since leaving government service, he has become a successful businessman and civic leader, along with volunteering for his nearby community. He has been married to Constance Towers, a stage and television actress, since 1974. When they wed, Gavin and Towers each had two children from previous marriages, so the couple have four adult children and three grandchildren. Gavin's older daughter, Cristina Gavin, followed in his footsteps and became an actress. His younger daughter, María, also followed in her father's footsteps in her own right with a Masters Degree from his alma mater of Stanford and a successful career in television production. 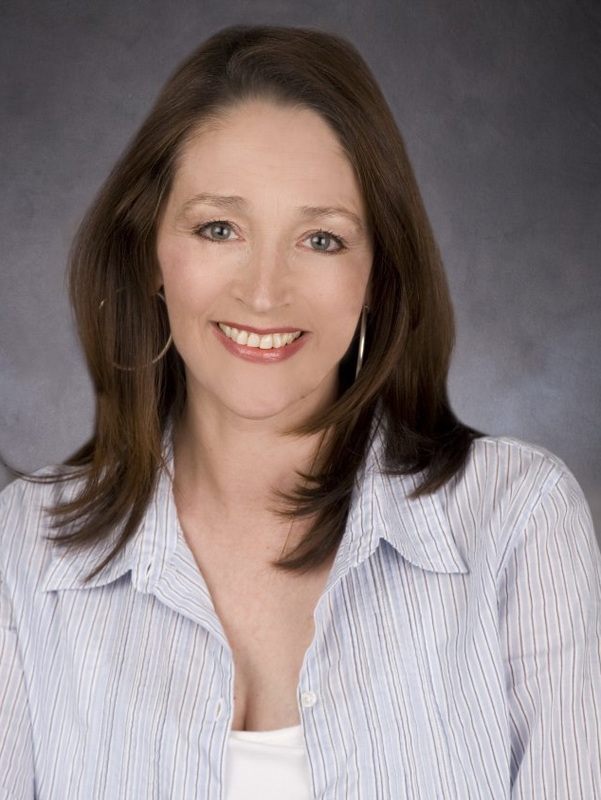 Olivia Hussey (1953- ) was born Olivia Osuna Hussey al estilo latino in Buenos Aires, Provincia de Buenos Aires, Argentina. As an actress, she became famous for her role as Juliet in Franco Zeffirelli's Academy Award-winning 1968 film version of Romeo and Juliet. For this role she won the Golden Globe Award for New Star of the Year-Actress as well as the David di Donatello Award for best actress. She is also well-known for her role as Mary, the mother of Jesus in the 1977 TV production of "Jesus of Nazareth." She has starred in films such as (1974), Black Christmas, Death on the Nile (1978) and Virus (1980). She was the daughter of Joy Alma Hussey, a legal secretary, and Andrés Osuna (aka Osvaldo Ribó), an Argentine tango singer who divorced when she was two. When she was seven years old, she and her younger brother went with their mother to live in London, England, U.K. where she attended the Italia Conti Academy drama school for five years. Assuming her mother's maiden name as her stage name, she appeared on the London stage as Jenny in The Prime of Miss Jean Brodie opposite Vanessa Redgrave. It was during the run of this play that Italian film director Franco Zeffirelli first spotted her because of her beauty and theatrical skill. Chosen out of 500 actresses, she appeared in her first starring role, as Juliet in Zeffirelli's 1968 film version of Romeo and Juliet opposite Leonard Whiting's Romeo. She has appeared in over 40 films. She played the leading role of Jessica Bradford in the 1974 Canadian horror film Black Christmas. The film became very influential as a forerunner of the slasher film genre of horror films. In 1990, she played Norma Bates, the mother of Norman Bates in Psycho IV: The Beginning, a prequel to Alfred Hitchcock's Psycho. In 2003, she played the lead in a film adaptation on the life of Mother Teresa for which she was presented with a CAMIE award (for Character & Morality in Entertainment). She also played Petra in the film Tortilla Heaven. Her voice can be heard in the animated series "Pinky and the Brain," "Superman: The Animated Series" and "Batman Beyond." She was nominated for Outstanding Individual Achievement for Voice Acting by a Female Performer in an Animated Television Production at the Annie Awards for her work in "Batman Beyond" as Talia Al Guhl. She also voiced the character Kasan Moor in the computer game Star Wars: Rogue Squadron. She was married first to actor Dean Paul Martin in 1971. They had a son, Alexander Dean Martin (later an actor), in 1973, before divorcing in 1978. She then married Japanese musician Akira Fuse in 1980 and had one son, Max (born 1983). Divorced from Fuse in 1989, she married American musician David Glen Eisley in 1991. In October 1993, she gave birth to a daughter, India Eisley, now an actress.